Twitter announced today that they're teaming up with Lucasfilm and People Magazine on Friday December 2nd at 10am PST (1pm ET) to live stream a special Q&A event with the cast and crew of Rogue One: A Star Wars Story. The event will feature never before seen footage from the film. 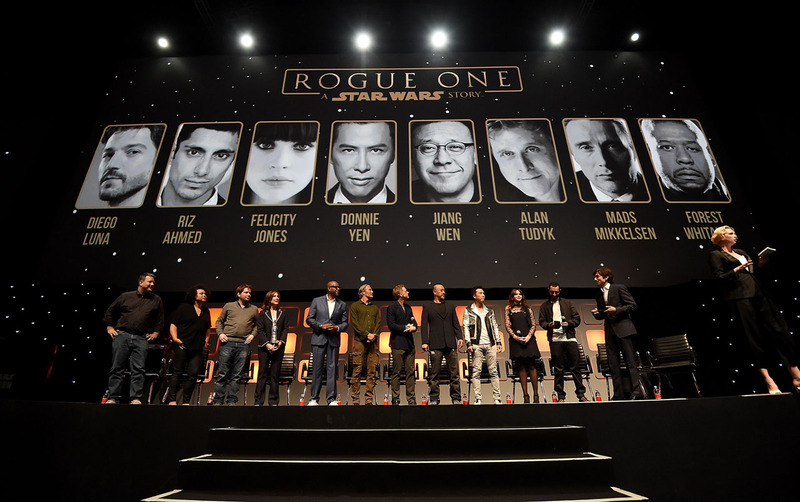 Fans can tweet their questions for the cast and crew to @starwars using the hashtag #AskRogueOne. 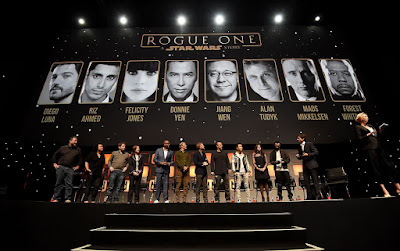 Cast members Felicity Jones (Jyn Erso), Diego Luna (Cassian Andor), Donnie Yen (Chirut Imwe), Riz Ahmed (Bohdi Rook), Alan Tudyk (K-2SO), Ben Mendelsohn (Orson Krennic) and Mads Mikkelsen (Galen Erso) will be in attendance, as will director Gareth Edwards and Lucasfilm president Kathleen Kennedy.